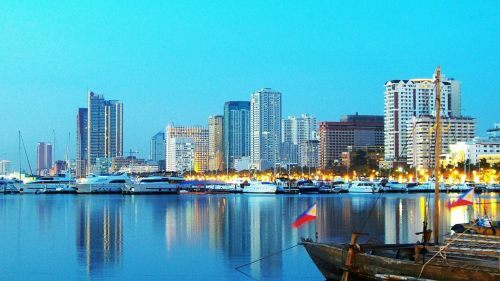 Air Canada and All Nippon Airways have dropped the price of their flights from Edmonton to Manila, Philippines down to $684 CAD roundtrip including taxes. Try the same dates as you found on Google Flights. 3. Click through from Momondo to whichever booking site is showing the cheap price. You can also try clicking through directly from Google Flights to the United website instead of going to Momondo. On Momondo, you may want to use the 'Max Flight Duration' slider on the left hand side to filter out really long flights. You can also try substituting Ho Chi Minh City, Vietnam (SGN) for Manila, and you may find similar prices. Experiment with different date combinations in September, October, and November 2016. Or in January and February 2017. Focus on Mon/Tue/Wed/Thu dates. Some date combinations may appear to work, but you won't get a 'Book with United' button at the end after you've selected your flights. It can be worth trying to search for the same trip on Momondo to see if there's anywhere else it can be booked. Click on 'Trip Type' to change it from 'Roundtrip' to 'Multiple Destinations' before searching. Update 6/12 @ 9:43 AM MST - These have dropped a little more, down to $648 CAD roundtrip including taxes. They are also now available up to mid-March 2017.
edmonton, yeg, flight deals, air canada, asia, east asia, saigon, vietnam, sgn, southeast asia, manila, philippines, mnl, japan, tokyo, ana, all nippon airways, ho chi minh city and hnd.